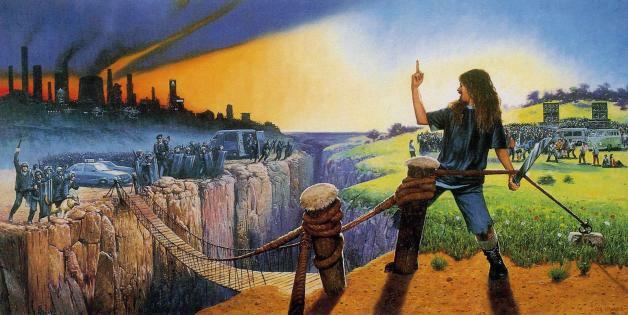 For years, it’s been pub-quiz knowledge that the inside sleeve art of The Prodigy’s ‘Music For The Jilted Generation’ album of 1994, painted by Les Edwards, was a graphic response to the Criminal Justice and Public Order Act of the same year, passed by the then-Conservative government to stamp down on illegal raves. But speaking to Clash recently, the band’s chief songwriter Liam Howlett has admitted that, actually, the two things – painting and politics – are not so closely related. As for the rave scene in general, Liam is quite clear that, for him, it had reached its point of personal exhaustion even before John Major and his cronies decided to crack down on the partying.